British APCO, or simply BAPCO is the Association of Public-Safety Communications Officials. At Seed we produce not only communications systems for the emergency services but many of the applications that use them: in-vehicle systems, hand-held systems for mobilisation and data capture and our Command Control mobilising system. So being represented at BAPCO’s large annual event is important for us. In previous years we’ve piggy-backed on some of our partners’ stands but this year we decided that our portfolio was significant and mature enough that it warranted its own stand. The results were pretty amazing, there was a real buzz around the stand with people from all over the emergency services and public safety spectrum coming to talk to us and find out more about who we are and what we do. It was a lot of hard work though; it’s nearly a week later as I write this and I’ve just about finished tidying up all the admin. For the other guys it’s been a much longer road. I was able to simply turn up to the stand on the first day. There were weeks’ worth of preparation effort before that – design and planning. Then the guys had to put everything in the van, drive it to Manchester and get the stand set up. We don’t have people to do any of this for us, so it was great experience for our young software developers to be part of the process right from the graphical design to screwing shelves into the wall. They were also in the front line on the stand, talking to people and demonstrating our software. In the average business only very senior technical people get to do this, so to be able to give them that kind of experience – and just the experience of being at such an event – is a great benefit. It wasn’t all work and no play though. We had some fun, such as the reaction training (computer) game at the official dinner – well there was only ever going to be one winner of that! We now know who plays the most shoot-em-ups too, and it wasn’t who we thought. 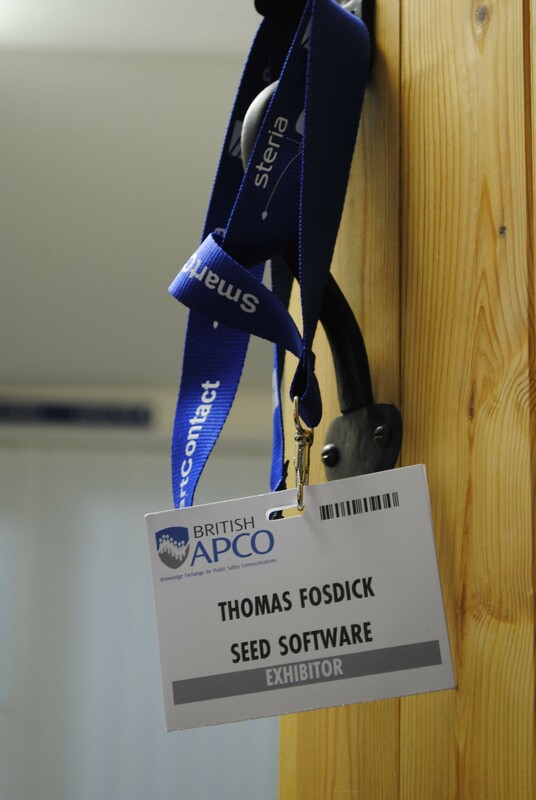 As a business, BAPCO 2014 gave Seed some great opportunities. Firstly we were able to connect with our existing customers and partners. As we don’t have any customer relationship managers every opportunity to spend time with the people we currently do business with, to talk about openly about their needs and where they see those needs going is really important. Getting those discussions out from drab meeting rooms and into an environment of seemingly limitless possibility is also important because at Seed we’re always looking forward, trying to work out ways that we can use technology to benefit our customers and our society. We were also able to get the message of who Seed are, what we do and why we’re different to a much wider audience. Sure just about everyone in the Fire Service has heard of Seed but not many knew that nearly a third of England’s Fire Services have a Seed system. Not many realised that we started back in 2005 and that since then we’ve grown a lot; we’re not just in-vehicle terminal (MDT) providers any more, we have a full portfolio ranging from data capture to our own Command and Control mobilising system. Seed is not limited to the Fire Service either – some of our products are as applicable to other emergency services as they are to Fire and further even that that. Our mobile forms product for instance is applicable anywhere where field workers have to fill in forms that need to be centrally collated. Being able to stand in a room where most of the UK’s public safety organisations are represented and give those messages loudly and clearly is a hugely positive thing for us. We’re all very glad we did it. I enjoyed it too, sure it was tiring but it was very definitely worth the effort. There’s more specific information about Seed on our web site here and my blog here. Also feel free to contact me directly at T.Fosdick@hull.ac.uk. There are some photos and a video from the BAPCO event on our Facebook page. This entry was posted in Life, Technology on 2014-04-10 by Tom Fosdick.